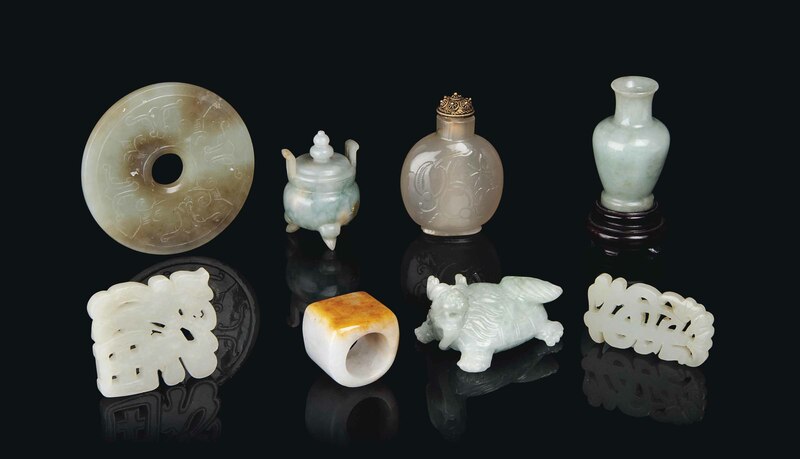 The group comprises a jadeite model of a dragon; a jadeite miniature vase; a jadeite miniature censer and cover; a jade bi disc; a jade archer's ring; two stylised jade characters; and an agate snuff bottle. The largest 3.1/8 in. (8 cm.) diam.